The focus of the day is to find out how to make money out of your idea and build a business around it. Have you been 'sitting' on an idea for too long? And teach you how to sell. Not sure if this is for you? Contact Lindsey at startup@cueltd.co.uk for a chat. 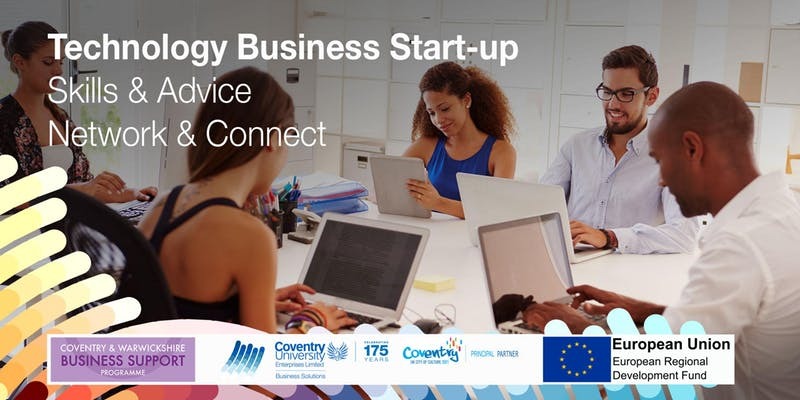 CUE Business Solutions is offering this FREE workshop to you through the Coventry and Warwickshire Business Support Programme, the session is part-funded by the European Regional Development Fund. You are asked to arrive promptly at 08.45 am for an 09.00 am start. Refreshments and lunch are provided. The session is FREE to you if you meet our eligibility criteria. Prestart: If you have an innovative Technology-based Business idea and have not yet started a business and you live (and pay Community Charge) to a Coventry or Warwickshire council. DATA PROTECTION: This workshop is provided free to you if you meet the eligibility criteria. We will keep all information you provide confidentially and treat it in accordance with the requirements of the Data Protection Act 2018.